Director Diane Johnson is a retired music teacher and is blessed with almost perfect pitch. She earned a B.A. degree in Music Education and completed graduate work in Chorale Music. She taught elementary and secondary music for 15 years, served as an organist, choir director and also worked as a professional accompanist/keyboardist in Musical Theater. 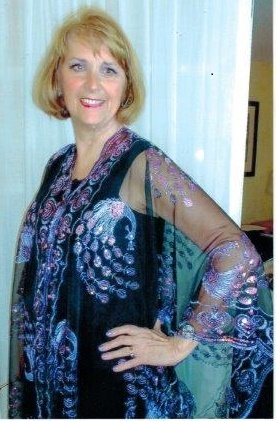 Diane has been a Sweet Adeline and member of Song of the Coast since 2004 and has served as the Associate Director and Baritone Section Leader. 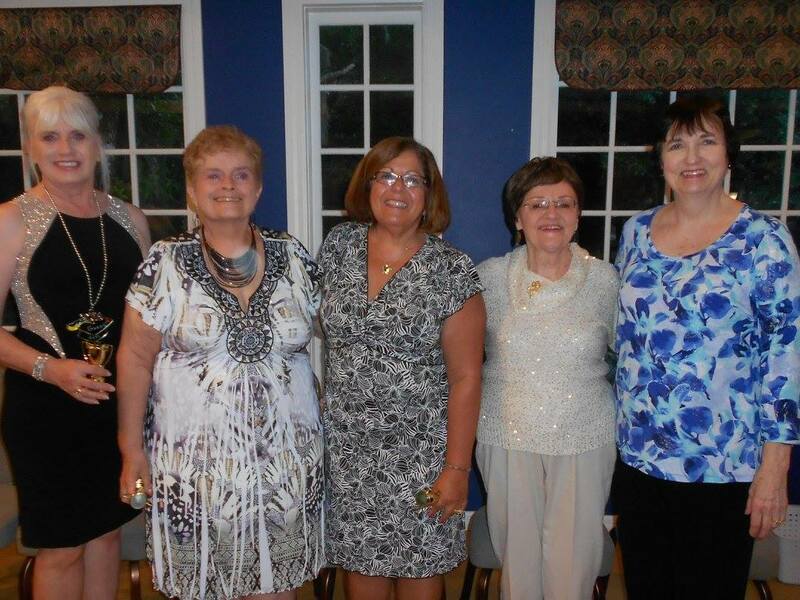 Gwen Montgomery, Sheila Stohr, Maria Sei, Runae Leonard and Mary Ellen Stanchfield. 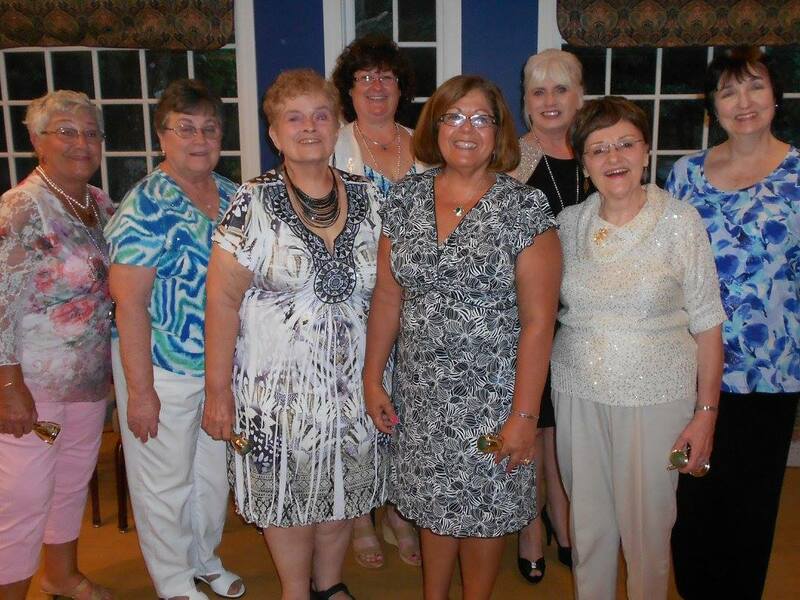 Front Row: Diane Updike, Terri Jablonski, Sheila Stohr, Maria Sei, Runae Leonard, Mary Ellen Stanfield. The main purpose of Song of the Coast Chorus is to get out and sing for our community. We perform at annual shows, community events, weddings, meetings, parties, luncheons and at an annual competition. We are available to sing at your next function. If you're looking for a unique musical experience to liven up your event, please check out our Hire Us section. Barbershop singing is a unique artform of 4-part harmony in the a capella style . Vocal instruction is a regular part of chorus rehearsals, and a very important component of the chorus experience. A couple of times a year, we will get coaching from a visiting master in the art of barbershop, where we learn many fabulous tricks of the trade. CompetitionIn the spring of every year, Song of the Coast Chorus participates in the Region 9 chorus competition in Daytona Beach, Florida. Competitions are a special time for quartets and choruses from our region to come together to sing for each other, and get some constructive feedback from a panel of judges. The winners of the regional competition in both quartet and chorus categories get to travel to International Competition, which is held in the fall in a city selected each year.